CPMFITness: What Do YOU Do with YOUR FITness in REAL Life? What Do YOU Do with YOUR FITness in REAL Life? Last weekend I had some great friends in town. I love it when Annie and I get to show our out of town friends all that LA has to offer. One of the things I love about LA is all of the outdoor activities it has to offer. One of the things I always look forward to is hiking. 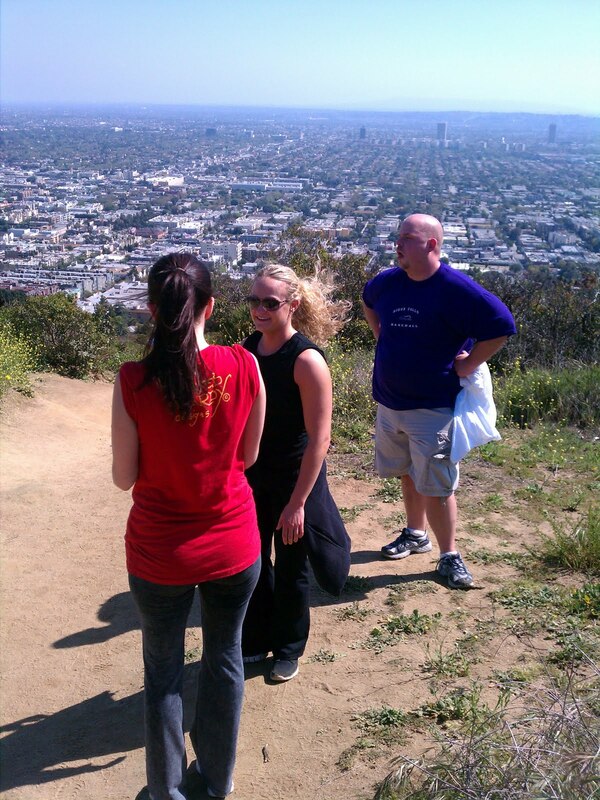 On Sunday we took on Runyon Canyon, it is a popular spot to hike in LA with some spectacular views to "soak up" in the process. A lot of us slave away in gym day after day, week after week, but when do you ever use it in your FITness in REAL life? Check out this great post on HANK about there REAL life FITness experience. Fun fun fun!! I've never hiked like that before and was a tad freaked out of slipping and falling into trees, but it felt good to be outside with my awesome friends pushing each other along! Need a Pep Talk? Give one TO get one. Working Out Makes Everything Better...SO DO IT!